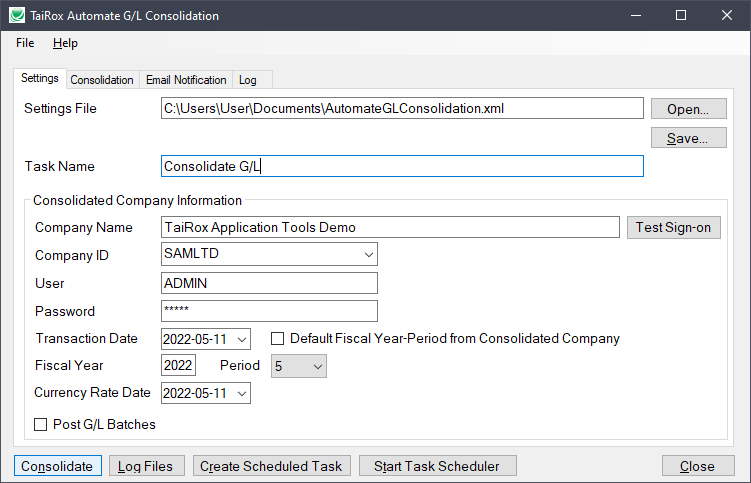 Available for $795 + $160 per year, Automate G/L Consolidation drives any number of G/L Consolidation operations, as set up using the standard Sage 300 application. The program eliminates the manuals steps involved in copying import/export files and means that 50 or 100 companies can be consolidated - all in a single operation. The resulting G/L batches can optionally be either posted or provisionally posted - all in the same step. The program is designed to run as an unattended Windows Scheduled Task, as well as from a user interface. 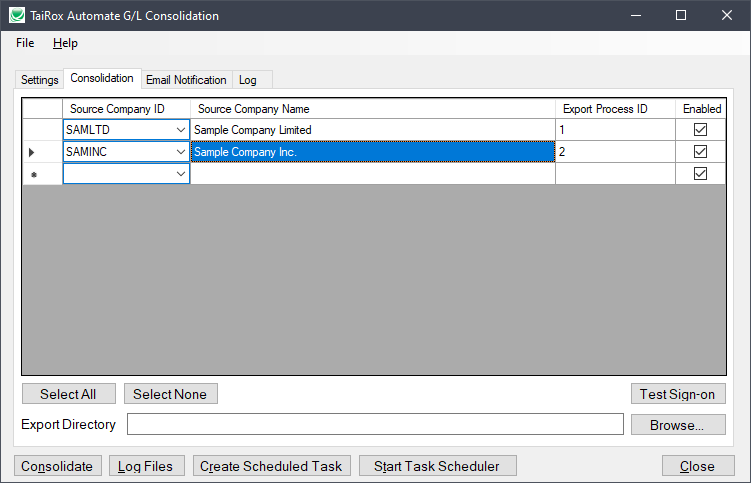 NEW FEATURE: Consolidate a Source Company into Multiple Consolidation Companies. See the end of our user guide. • Eliminates copying import/export files. • Posts or provisionally posts resulting batches.